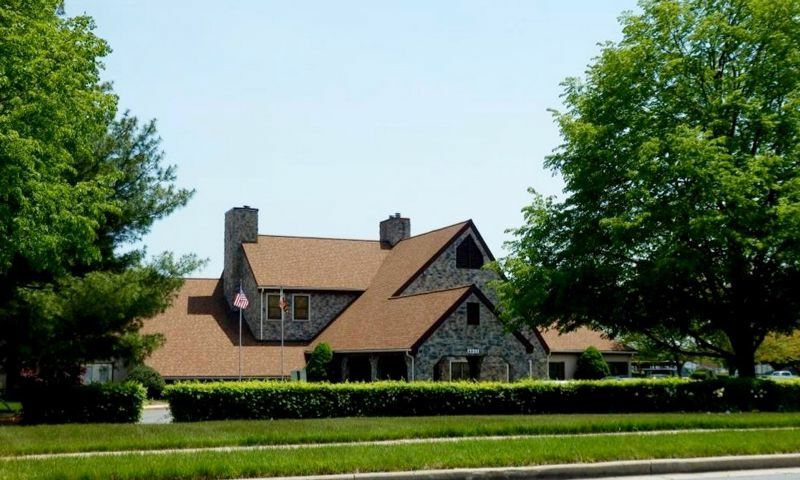 Crestwood Village is a 55+ community located in Frederick, Maryland. Active adults will enjoy the resort-style amenities and all of the social activities held in this vibrant age-restricted neighborhood. Consisting of 550 residences, homebuyers can choose from a variety of low-maintenance attached and single-family homes. Crestwood Village is an established community that is close to local conveniences and is just an hour away from Baltimore and Washington, D.C. for big-city attractions. The central hub of physical and social activity is found at Crestwood Village's clubhouse. Here, residents can stay fit in the exercise room and utilize the cardiovascular and weight-training equipment. Afterwards, they can soak in the indoor spa. There are several meeting rooms and a multi-purpose room where homeowners gather for large or small community parties and events. The catering kitchen is useful when preparing a snack for a potluck party. Residents can visit the library to read a new book or they can go to the computer room to check their e-mails to stay connected with family. The amenities continue outdoors with a swimming pool and patio that's perfect for relaxing on a warm, sunny day. Neighbors can challenge each other to some friendly competition on the tennis or shuffleboard courts. Homeowners can have some fun at the nine-hole mini golf course too. Crestwood Village also offers residents community transit that provides transportation to stores, day trips, and other errands for their convenience. Crestwood Village was developed between 1979 and 1999 and consists of 550 residences. Homebuyers can choose from a selection of resale homes that come as attached or single-family homes. Attached homes come as quads or duplexes. These attached residences offer approximately 900 to 1,332 square feet of living space. They typically have one or two bedrooms, one to two bathrooms, and an attached one-car garage. These homes feature open floor plans and eat-in kitchens. Single-family homes offer approximately 609 to 1,960 square feet of living space. They have two bedrooms, one to two-and-a-half bathrooms, and an attached one-car garage. These detached residences are typically ranch-style and feature spacious master suites, large living and dining rooms, and screened porches. An affordable homeowners' association fee covers lawn care, snow removal, garbage pick-up, basic cable, community bus services, exterior building maintenance, and security patrol. Crestwood Village provides an active environment for homeowners to enjoy hobbies and social events. The community hosts events like potluck dinners, holiday parties, movie nights, bookmobile, ghost tours, parades, and day trips. Residents can join aerobics, dancing, yoga, or Zumba to have fun while staying fit. They can also participate in activities like bingo, games, cards, billiards, Scrabble, Mah Jongg, and hand and foot. There are endless options for residents to maintain a social lifestyle in Crestwood Village. Ideally located in Frederick, Maryland, homeowners have easy access to everyday conveniences. Across the street from Crestwood Village is a Food Lion, Crestwood Plaza, Rite Aid Pharmacy, and a bank. Farther down the road are Interstate 270 and Interstate 70 that make driving around town a breeze. Residents can visit Frederick Crossing that's only five minutes away and has everything from Best Buy, Kohl's, Dollar Tree to Chuck E. Cheese's for when the grandkids come to visit. For big-city attractions, homeowners are just an hour's drive away from Baltimore and Washington, D.C. When traveling farther is required, residents can board at flight at Baltimore International Airport. Crestwood Village is an established 55+ community with plenty to offer Baby Boomers in Central Maryland. There are plenty of activities available in Crestwood Village. Here is a sample of some of the clubs, activities and classes offered here. Attached homes come as quads or duplexes. These attached residences offer approximately 900 to 1,332 square feet of living space. They typically have one or two bedrooms, one to two bathrooms, and an attached one-car garage. All homes are one-level and feature open floor plans. Please Note: Floor plans are not available at this time. Single-family homes offer approximately 609 to 1,960 square feet of living space. They have two bedrooms, one to two-and-a-half bathrooms, and an attached one-car garage. These detached residences are typically ranch-style and feature spacious master suites, large living and dining rooms, and screened porches. Please Note: Floor plans are not available at this time. 55places.com is not affiliated with the developer(s) or homeowners association of Crestwood Village. The information you submit is distributed to a 55places.com Partner Agent, who is a licensed real estate agent. The information regarding Crestwood Village has not been verified or approved by the developer or homeowners association. Please verify all information prior to purchasing. 55places.com is not responsible for any errors regarding the information displayed on this website.